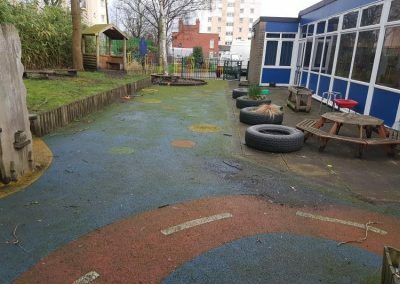 Can we clean your play area? 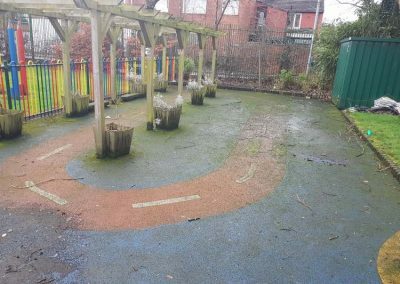 If your playground is looking a little tired and dirty, Blast Away provide a first class service in all aspects of playground cleaning. 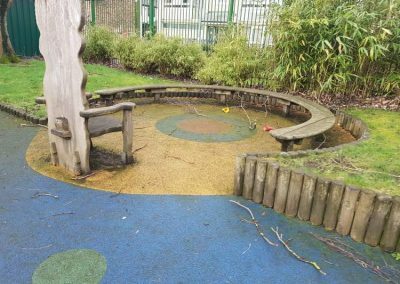 Over time your playground can gather moss, weeds, algae and dirt leaving it discoloured and looking old. 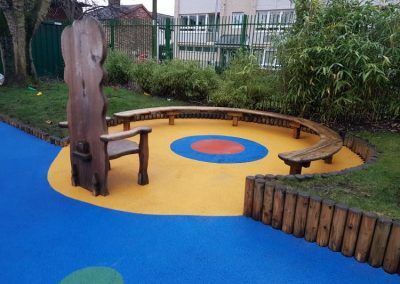 Our playground cleaning service uses the latest technology and chemicals to bring it back to life. 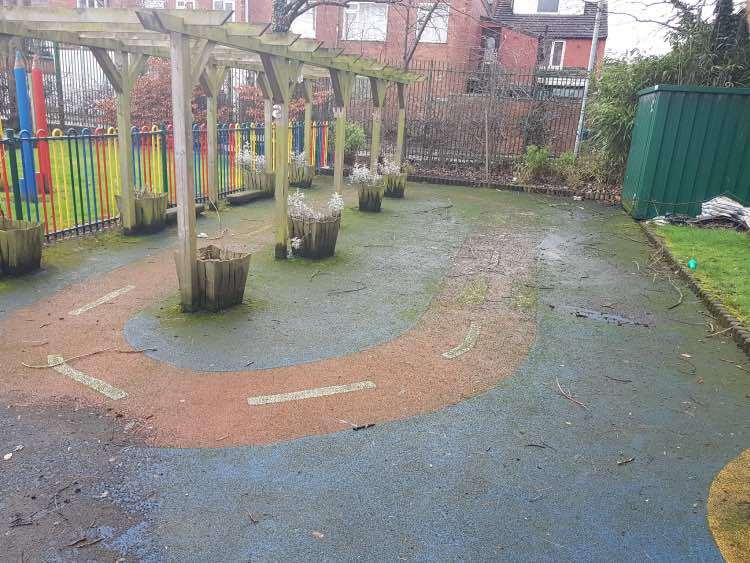 Using our commercial rotary flat surface cleaner and pressure washer we can easily remove all build of dirt. 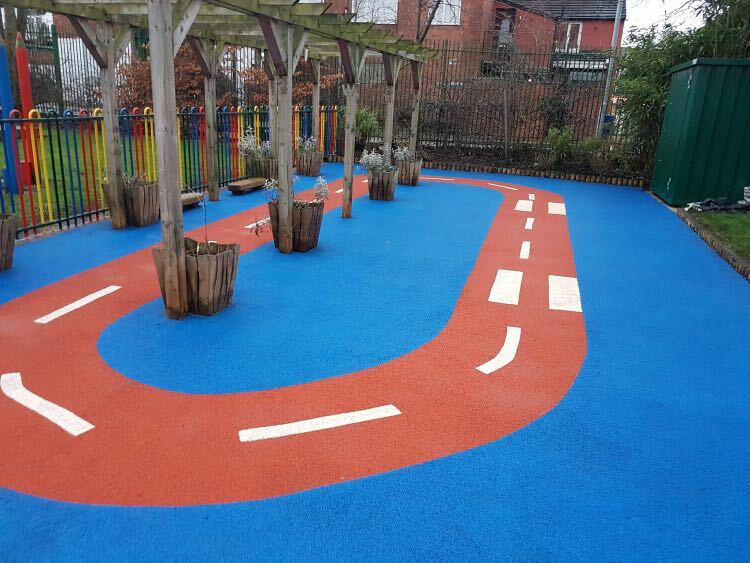 When you use Blast Away for your playground cleaning, you will receive a first class service. 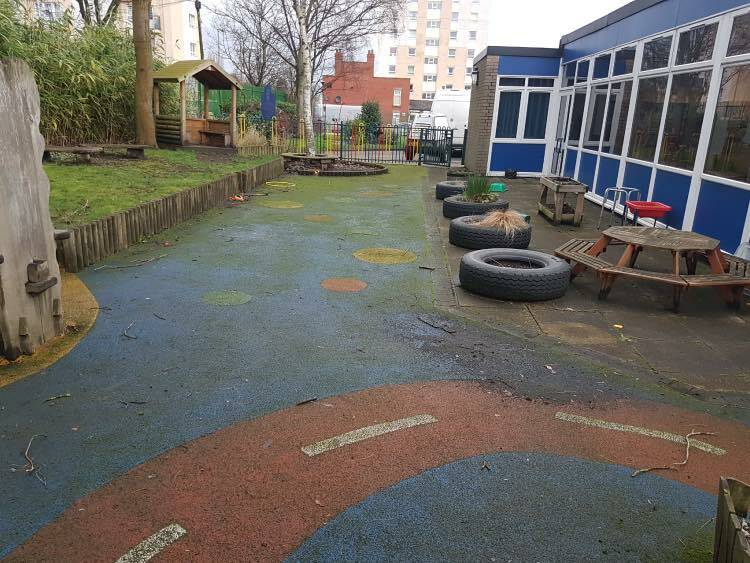 Ensuring our customers are happy with our service is one of our main priorities so if you have any questions about playground cleaning please get in touch. 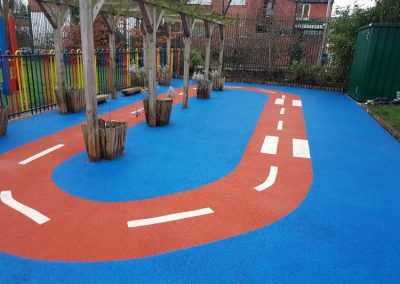 Our company is fully insured and we cover all areas of Greater Manchester and the Northwest for driveway cleaning and all of the UK for larger contracts. 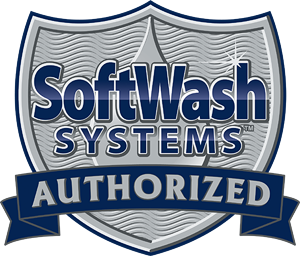 Unlike other cleaning companies all our vans are fitted with mounted hot water pressure systems and water tanks meaning we use our own generator and water. 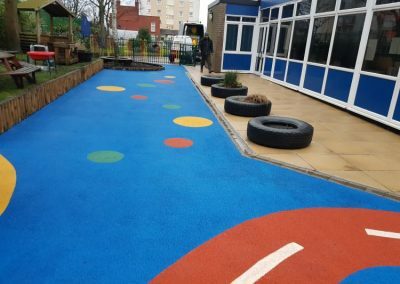 We can carry out the cleaning of play areas in residential estates and schools for private companies, councils and maintainance companies. 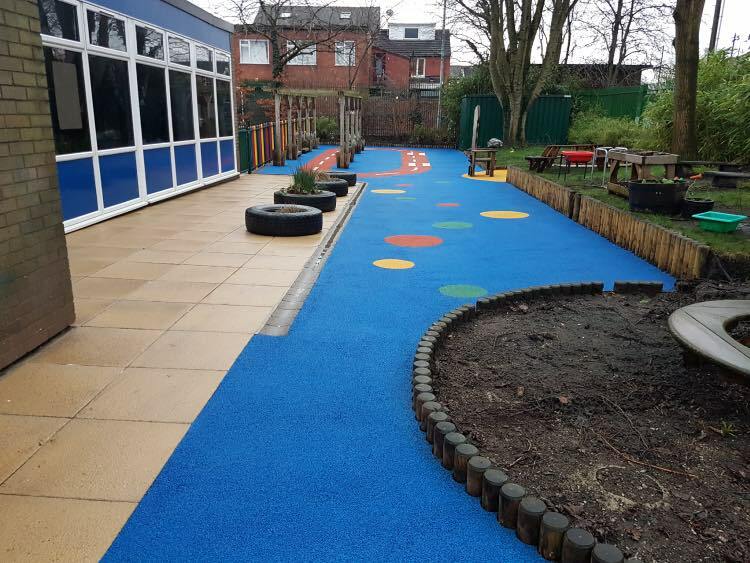 We carry out regular cleaning for the installation companies in the country whom offer a maintainance programme with their clients. 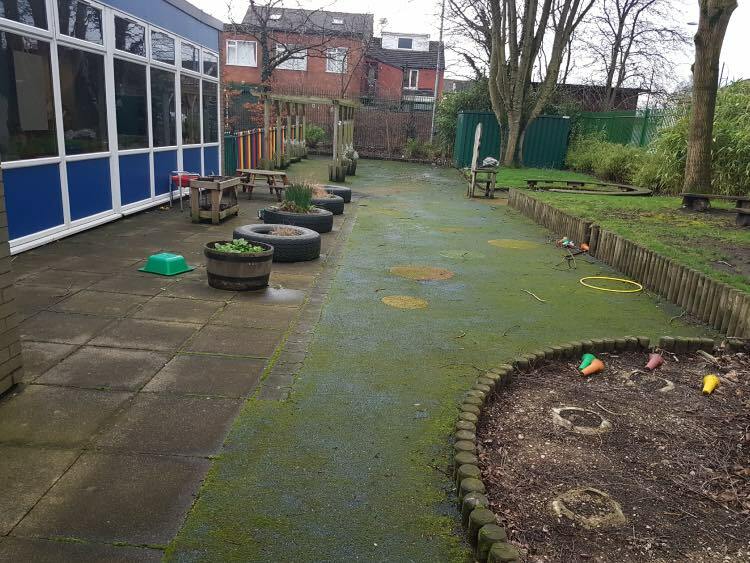 Please get in touch to arrange a free site survey and no obligation quotation. 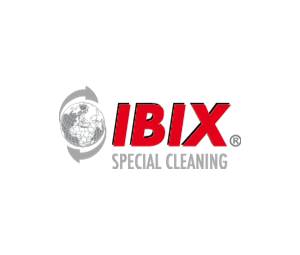 We carry out regular cleaning for the installation companies in the country whom offer maintenance programmes with their clients. 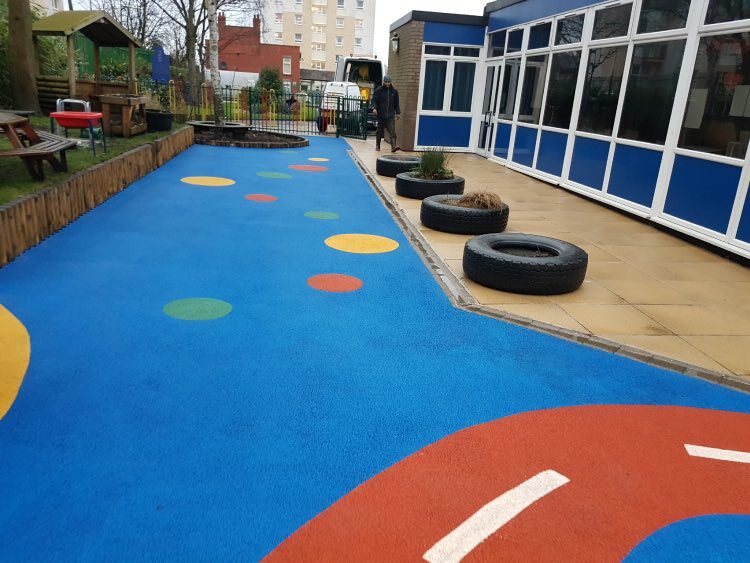 We can carry out the cleaning of play areas in residential estates and schools, for private companies, councils and even other cleaning companies. White Label Service – Vehicles and Trailer Systems carry no signage. Sub Contract to us – Wear your company logo on workwear. 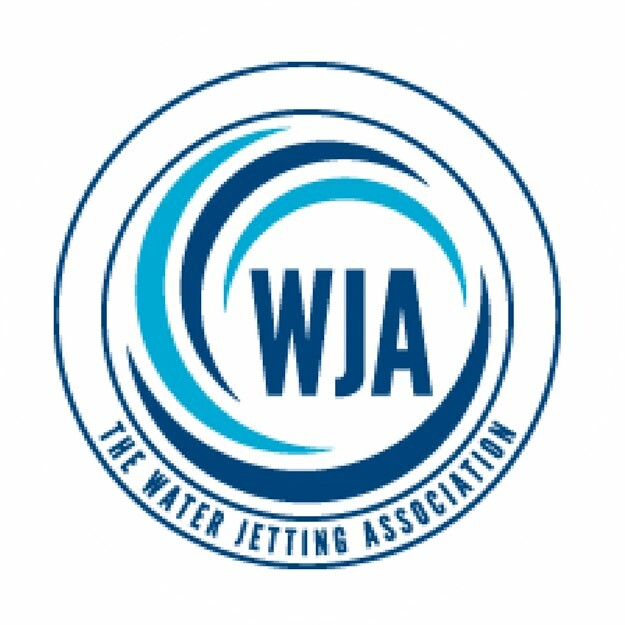 We cover England, Wales & Scotland. 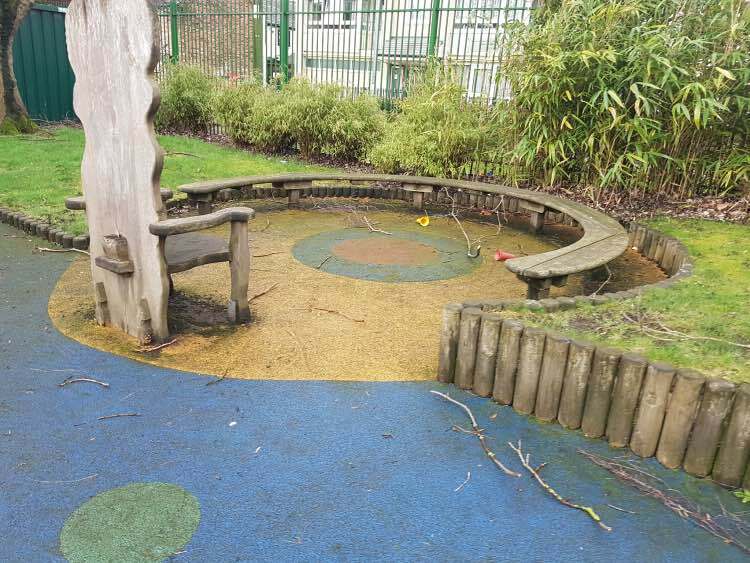 Our playground cleaning service uses specially formulated chemicals to lift the algae and moss deep from the pores giving a uniformed clean and no stripes. Take a look at some of our recent work and how our industrial pressure washing can clean your playground.